Police have released dramatic footage showing the moment a mob descended on a car carrying the Prince of Wales and the Duchess of Cornwall. Senior officers hope the images will help them identify those responsible for the attack in Regent Street in London's West End. A crowd of thugs who split from student tuition fee protests outside the Houses of Parliament descended on the distinctive Rolls-Royce Phantom VI. The council CCTV camera shows the royal convoy, led by several motorcycle police outriders, slowing down as it is impeded by people in the road. The camera pans across the vehicles as several people can be seen surrounding the royal car, kicking and hitting it. The footage showed one young woman following the royal car and hitting the back of it. The woman, wearing a black coat, grey top and glasses, is also caught on camera as she breaks the rear window of another vehicle in the convoy with a dustbin. Another man was filmed running alongside the car and a third man grabbed the side of it before appearing to take a photograph. At least three metal dustbins were also hurled at two other cars in the convoy which was travelling to the Royal Variety Performance at the London Palladium. The Duchess was poked in the ribs with a stick, possibly part of a placard, through an open window and white paint thrown over the vehicle. She was pictured looking shocked and distressed and they were forced to leave afterwards in the back of a police van. Senior officers have set up a specialist team of investigators responsible for identifying those involved in lawlessness during the student protests. The inquiry, known as Operation Malone, has led to the arrest of more than 180 people, most aged between 17 and 25. Five directors at TUI Travel have pocketed nearly £8 million in performance-related payouts for the past year despite the tour operator having to write off £117 million following an accounting blunder, it has been reported. Chief executive Peter Long and four fellow directors received £4.9 million worth of shares this month, on top of £3 million worth in February, according to the Observer newspaper. The latest payout, which was disclosed in a stock market filing, is in addition to money they receive through their salaries, cash bonuses and pension contributions, all of which will be detailed in the group's annual report, due to be published later this month. Mr Long received shares worth nearly £1.8 million under the group's performance share plan and deferred annual bonus scheme. Among the other executives who received a payout was Paul Bowtell, who stood down as the group's finance director in October, following the accounting problems at TUI. He received shares worth £757,000. It was not possible to contact anyone at TUI to comment on the report. TUI, which is best known for its Thomson and First Choice brands, announced in October that it would have to write off £117 million as a result of an error relating to its failure to correctly reconcile the separate accounting systems used in the retail and tour operator businesses within TUI UK. The problems came to light after the integration of IT systems in its mainstream UK business following TUI's merger with First Choice in 2007. The group first identified £29 million of write-offs in August and an ongoing audit highlighted a further £88 million of irrecoverable balances. It was also forced to restate its 2009 results, wiping £42 million off its operating profits, while it took a further £5 million hit in the accounts for the year to September 30, 2010. The tour operator, which is owned by Germany's Tui AG, announced last week that it was parting company with its auditor KPMG. It said in a statement: "Following the restatement of the results for the financial year ended 30 September 2009, TUI Travel has agreed with KPMG that it is appropriate that new group auditors should be appointed." Shareholders will vote on accepting PricewaterhouseCoopers as the new auditors at the group's annual meeting in February. Hunt supporters have been out in force for the traditional post-Christmas meets and called on the Government to revisit the "farcical" hunting act. Jill Grieve, from the Countryside Alliance, said the decision to continue the ban on hunting with dogs into next year, despite David Cameron's personal commitment to ending it, was understandable because of other matters facing the country due to the deficit, but said ministers needed to at least make clear what was legal or not under the existing Act. "We find that huntsmen do a great job and work very hard," she said, "and every time they go to work they are under threat of prosecution. "The hunting Act is so bad that they thought it had been banned but it is so unclear. No officers will face disciplinary action after a mob attacked the Prince of Wales and the Duchess of Cornwall during the tuition fees protests, Scotland Yard said. Metropolitan Police Commissioner Sir Paul Stephenson ordered an internal review of the incident, which was submitted to Home Secretary Theresa May, after the Duchess was poked in the ribs with a stick as the royal car was attacked in London's West End. Scotland Yard said no officers would face disciplinary action after it was reported that royal protection officers were warned by a police colleague not to drive down Regent Street 15 minutes before the royal couple were attacked by the mob on December 10. A police sergeant told a member of the couple's protection team that the area surrounding the road should be avoided because up to 200 thugs were in close proximity, the Daily Mail said. Another strike by workers at food giant Heinz is "inevitable" after talks aimed at resolving a row over pay broke down, union leaders have said. Members of Unite at the firm's site in Wigan will walk out for 24 hours from the evening of December 29, with further industrial action expected in the new year. Heinz said it revised its pay offer during a meeting with the union held at the conciliation service Acas, maintaining the deal was worth 4% this year and 3% next year. Unite said the offer was worth 3.3% and 3%, adding it was effectively a wage cut because the suggested deal was below the rate of inflation. A Heinz spokesman said: "We are extremely disappointed with this outcome. What we are proposing addresses a number of key points we received in extensive feedback from our employees. Skype on Wednesday left millions of users out, as a problem with its connection system. What's a global internet user to do? To the millions users, here are a few Skype alternatives to keep you connected. Jajah - is a VoIP (Voice over IP) provider, founded by Austrians Roman Scharf and Daniel Matters in 2005. The Jajah headquarters are located in Mountain View, CA, USA, and Luxembourg. Jajah maintains a development centre in Israel. On 23 December 2009, it was announced that Jajah had been bought by Telefonica through its subsidiary Telefonica Europe. Jajah's primary service, Jajah Web, takes an approach called web-activated telephony, using VoIP to connect traditional phones (landline or mobile). MP Mike Hancock will not face charges over allegations he sexually assaulted a female constituent, Hampshire Police have said. Liberal Democrat Mr Hancock, 64, who represents Portsmouth South, was arrested over the allegations in October. In a statement, the force said: "Hampshire Constabulary can confirm that following consultation with the Crown Prosecution Service (CPS), no further action is to be taken against MP Mike Hancock in relation to allegations of sexual assault. An independent inquiry into the alleged misuse of public funds by senior executives at Network Rail (NR) will begin in the New Year. Sources said it will led by Antony White QC and will begin formal hearings in London in January. The move has been agreed by NR and the Transport Salaried Staffs Association (TSSA), which represents senior staff at the publicly-funded rail firm. 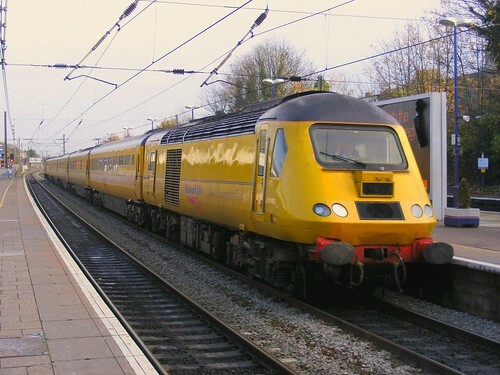 The inquiry's terms of reference state "that an inquiry should be conducted to investigate any allegations of misuse of public funds and serious financial impropriety, potentially including fraud, presented to the inquiry by TSSA or present or former employees of Network Rail".